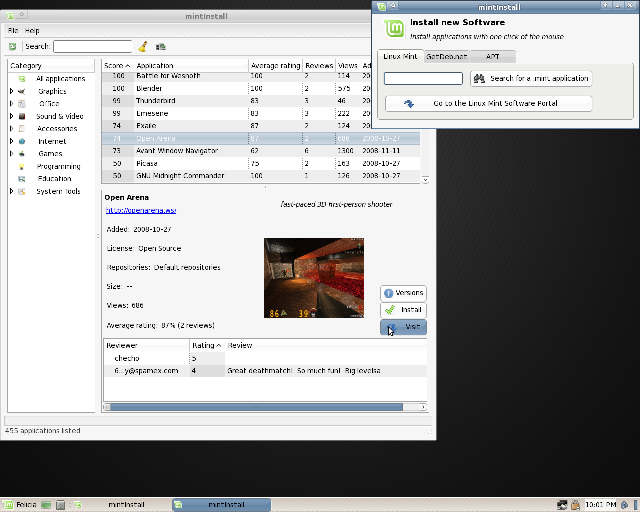 Cinnamon and MATE refer to the desktops used in LinuxMint 13 releases. Users in USA/Japan should purchase the No Codecs versions, which come without patented technology or proprietary components. Users can use the welcome screen and the menu to reinstall these missing components easily. 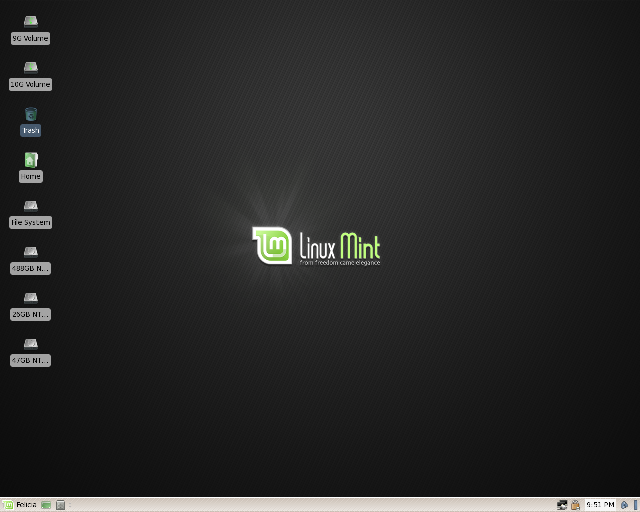 Linux Mint Debian is an Debian-based distribution. Linux Mint Debian Edition (LMDE) is a rolling distribution based on Debian Testing. It is available in both 32 and 64-bit as a live DVD with a Gnome desktop. The purpose of LMDE is to look identical to the main edition and to provide the same functionality while using Debian as a base. LMDE is not compatible with the Ubuntu based version, LMDE is compatible with repositories designed for Debian Testing (Debian Squeeze). It is a rolling distribution - LMDE constantly receives updates. Its ISO images are updated now and then but users do not require to re-install it on their systems. You don't need to ever re-install the system. New versions of software and updates are continuously brought to you. It's faster and more responsive than Ubuntu-based editions. Although it's using Romeo for unstable packages, LMDE continuously changes as it receives updates and new software. Compared to a frozen version of Linux Mint which changes very little once it's publicly released, it's not as stable. Things are likely to break more often but fixes can also come quicker. For this reason, LMDE requires a deeper knowledge and experience with Linux, dpkg and APT.